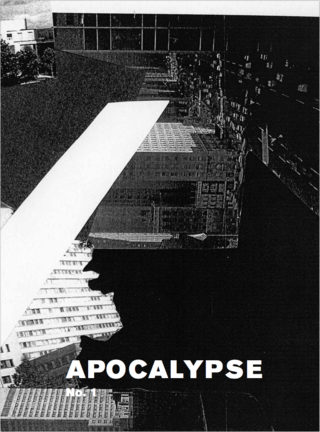 the purpose of this zine is to have an open and radically subjective engagement with the overall theme of apocalypse. it engages the notion of shift, revelation and catastrophe. all people involved in the project come not necessarily from art but a plethora of various fields. apocalypse is not about cultural studies, it is not illustrating the historic genesis of the term apocalypse. its reason is to ask about the shape of the world – to adress the current time and its intensification of madness. different, sometimes remote positions create an overall impression and not a pseudo-homogenous field of discourse. contradictions as well as similarities emerge within the contributions. both - contradictions and similarities - are neither forced nor concealed. all participants are joined within a poetic and curious approach.